That’s right, a tag-team duo to be remembered! 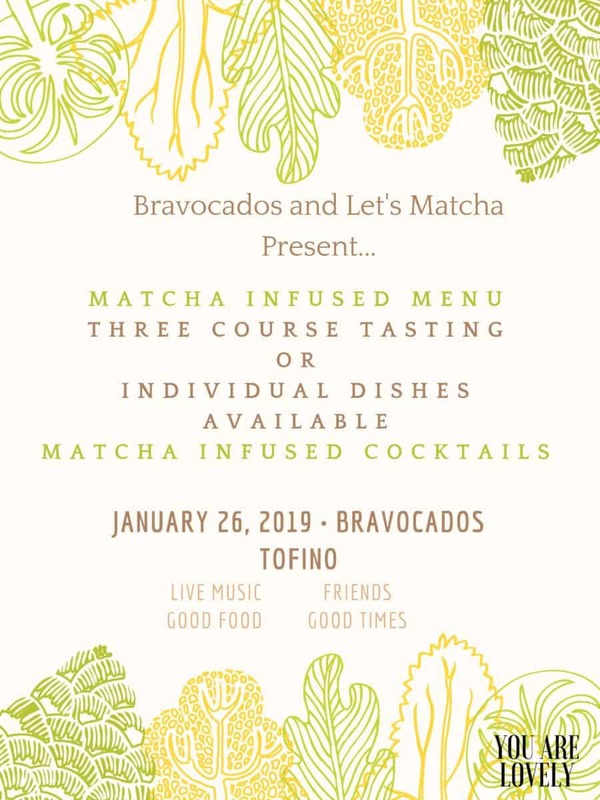 Let’s Matcha partners up with Bravocados for a matcha infused dinner by Chef Dave Hey. Come down around 6PM on Jan 26th with your pals. This might be the only time a matcha dinner happens around these parts. Enjoy a 3-course tasting or try any option solo. Pair it with matcha sake or a matcha infused whiskey sour. We’ll also be doing a draw for 6 months supply of matcha, and some other giveaways. $5 buy in.